Door Access System is popular among Buildings management in Singapore for providing a reliable form of access control security. Since the beginning of day one, our primary mission has been to democratize the affordability of Access control solutions and bring access control to as many doors as possible in Singapore. We have since evolved and focused our efforts on providing an end-to-end security Door access control system solution that is integrated and customized to our customers. As security becomes recognized as being more and more priority, we have seen a steady rise in demand for Access security systems and Electronic locking solutions in a various range of Corporate building facilities, such as Hotels, University Dormitories, and Airport terminals. T3 Security Integration is one of the Technical leaders in the Electronic Access Control Systems industry. Our company was founded in the year 2009 and has since grown tremendously very high speed. At present, we have a dedicated team of highly experienced and professionally trained employees, which includes engineering specialist in Mechanical, Electrical, and Software expertise. We make every effort to ensure sure that the hardware selected for deployment in our security Card Access system solutions achieve seamless convergence between superior functionality and design without having to compromise on our customer’s building design concept and Aesthetics. Why is Electronic Door Access Control Needed? For many years, traditional locks and keys have been used as a predominant method of access control to restrict entry access into office facilities and to safeguard assets & properties. Additionally, as traditional physical keys can be easily duplicated by internal staff. This potentially allows the keys to fall in the wrong hands without you even aware, exposing the company to the risk of illegal entry intrusion, which can elevate to other security challenges, such as Corporate espionage, Theft of company assets or Trade Propriety information data. This is a particularly serious security problem in a business when staff resigns from the company without turning in all the keys that were issued to them. in the event of an unaccounted misplacement of physical keys or suspicion of any unauthorized duplication, the only feasible solution feasible to eliminate any risk of security breach is to actually replace the whole door locking mechanism. This mechanical lock replacement each time there is an unaccounted key can be highly expensive. Unlike electronic access control systems, a traditional locks and keys system does not have the capability to control precisely at which time of the day or Day of the week when the keys can be used. This means that mechanical keys essentially allows the key holder free unrestricted entry to high-security rooms (eg. such as Server rooms), sensitive premises and business Assets without any time control. Digital Access control takes care all of these security shortfalls by replacing mechanical locks with intelligently managed system devices. A Hardwired access control systems offer the best reliability and security as we can be almost 100% sure that it will always work without fail, however, note that such an access control deployment requires costly hardwiring cabling. 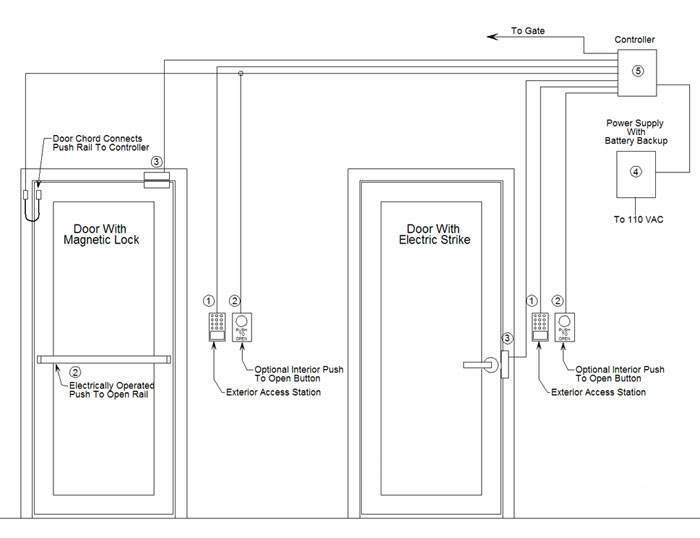 Such hardwired system is suitable for access doors in the building premises where you need full, real-time high security. Typically in a building, such a system is only implemented on a small percentage of doors. It is driven by a virtual network of a physical card which is used as an element to store and carry the access control credential data. Although there is a small delay time, it is very powerful security access system as the access cards can be regularly updated with the latest current access rights profile data. Such Data on card systems are suitable for most normal office building doors. They are extremely easy to install as you don’t have to worry about account physical wires or wireless Radio transmitters. These days, wireless access control has undergone a significant evolution and is a very popular option because of the real-time data available on their access control management dashboard. 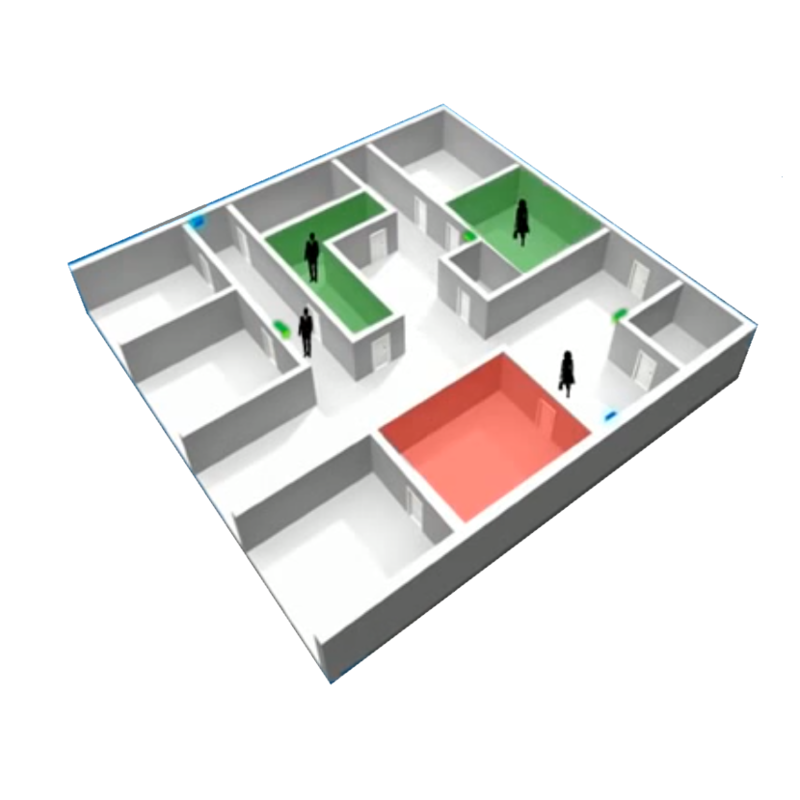 This audit trail enables security administrators to know where the staff is during actual movement. 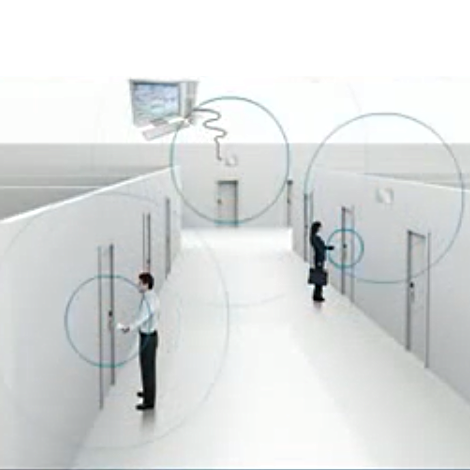 A Wireless access control systems are suitable for doors where you require real-time control and monitoring. Such wireless system is integrated with a radio transmitter, it enables the access lock is to be wirelessly linked to the online/wireless network. We have taken into account these security risk factors and ensure that the door does not simply grant unauthorized free access when it encounters such failures. Which Type of Door Access System is Suitable for my Building? At T3 Security Integration, we carry both extremely advanced wired and wireless access control that serves to provide beyond than just providing access control into you facility premises. 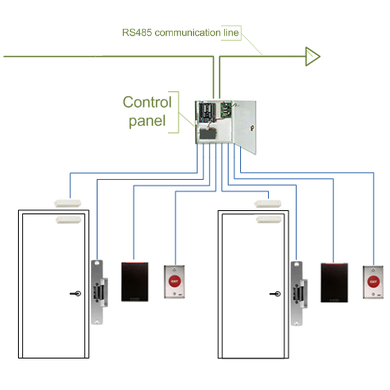 Typically in a standard digital access control setup, it needs various components, such as the System controller, Wall mounted access control reader and an Operating element (eg. some sort of Electric strike, Motorized lock, Electromagnet etc). In addition to the cost of all the hardware mentioned above, one of the major expense comes from the Installation labor cost needed to get the door up & fully operational. We estimate that the installation cost is as much as 50% of the total cost. If you have committed a wrong investment in an ineffective Legacy electronic access control system, you eventually throwing away your hard earned investment as your access control needs evolve over the years=. Typically, as your business grows in size and scale, from 50 doors and beyond, there will be a need to expand the access control system deployment to a significantly larger number of doors. When such situation occurs, the management of access credential will be an administrative nightmare. In digital access control locking, although a lot of the engineering is about Software codes, Encryption, Security levels, and Authentication credentials, we also recognize the importance of implementing a robust Mechanical security protection. We recognize that if the Mechanical Locking protection is easy to bypass, it would be as good as not having any Security Access Control in the first place from the beginning. When audit control functions of an access control system are bypassed, it also means that you have no way to know who was there previously. mechanical locking systems with a built-in master key feature present a serious security issue. Credential control management is a huge challenge even with modern electronic access control solutions available in the market. This means that Every time a change is made to the allocation of access control rights (eg. card credential deleted, New card credential added), each of the offline battery-operated lock has to be manually updated. This manually updated has to be done on Conventional access control systems as they operate based on a whitelist system, whereby user credentials are granted access only if their credential is pre-stored in the internal storage memory of the specific lock. – Assigning access rights to staff who just newly join to the organization. When an employee loses their access card, the card can simply be blacklisted and delisted out of the electronic access locking system. Immediately immediate effect, Each and Every of the standalone access control locks in the building will be promptly informed of the Missing and blacklisted card. One of the major issues with Electronic Access Control systems is you can only delete or blacklist an Access card authorization from the system only when the authorized user realize aware it is lost and have reported the lost incident to the administrator. To address this security vulnerability, one of the extra features of our digital access control solution is that it enables you to keep the expiry dates extremely short to as low as a few hours. So just imagine, the moment you come into the building in the morning, the user’s access card get renewed automatically each time the user swipe the access card to the reader. This extension of the card credential can be authenticated using a PIN code or with Biometrics. With such an access control system design, it means that when the card is lost, it automatically becomes invalid as a second layer of authorization credential is required to renew the card. In the event that the access card is stolen by theft, there is a less likelihood of the access card being exploited for illegal intrusion as the access card credential will be deleted form of the access management system. Any change in Locking profiles, such as the addition of new access rights to a new room can be easily carried out by updating the user’s card on the wall-mounted access control reader. This eliminates the need to manually configure the physical card at the Administrator office, each time there is a modification in access authorization profile. With an electronic access control system, we are able to instantly grant you entry access to specific access card issued. This means that the unique access authorization profiles of each employee are automatically updated when they enter the building premises. Resolve your key Management and Control for your building’s access control system with T3 Security Integration today. Call us at 81822236 for a free consultation. Every Access control card reader that every Card touches will automatically update the Electronic access control system. This is possible as all the access rights information and codes are stored along in the door access card, not in the Lock. This offers the distinctive benefit of not requiring a wired network for your digital locks, potentially saving you a significant amount of wiring and installation cost. Discover what electronic Door Access System can do for your company today by calling us now at +65 6100 8374 for a no obligation discussion of your needs.